It’s a GIVEAWAY (open internationally if you’re willing to pay extra postage)! Christmas is coming up fast and if you’re like me, you’re already starting to count down the days. 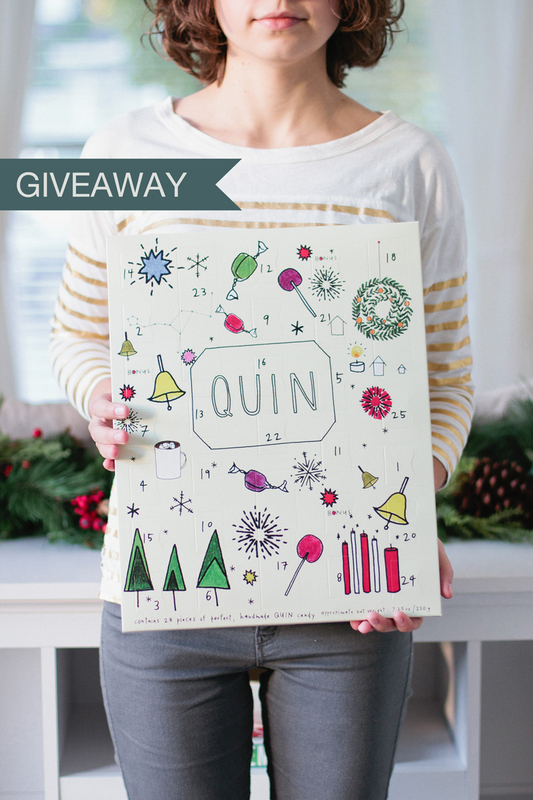 I’m teaming up with Quin Candy to give away one Christmas Countdown Calendar to help you with that counting! This one is filled with 28 pieces of perfect, handmade candy hidden behind festive doors – one for each day of the countdown, plus three bonus doors to open any day you’d like. Plus the illustrations by Michelle Ott are just too cute! Caramels, soft chews, and real fruit lollies, oh my! Drooling yet? I am! Want it? I already snagged my own! Head on over to the coordinating photo on my Instagram to see how you can win one for yourself!